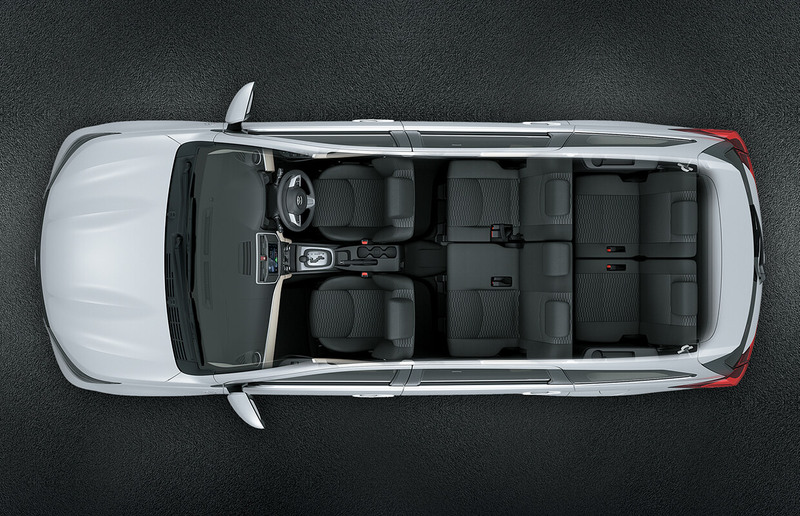 A vehicle with versatility. 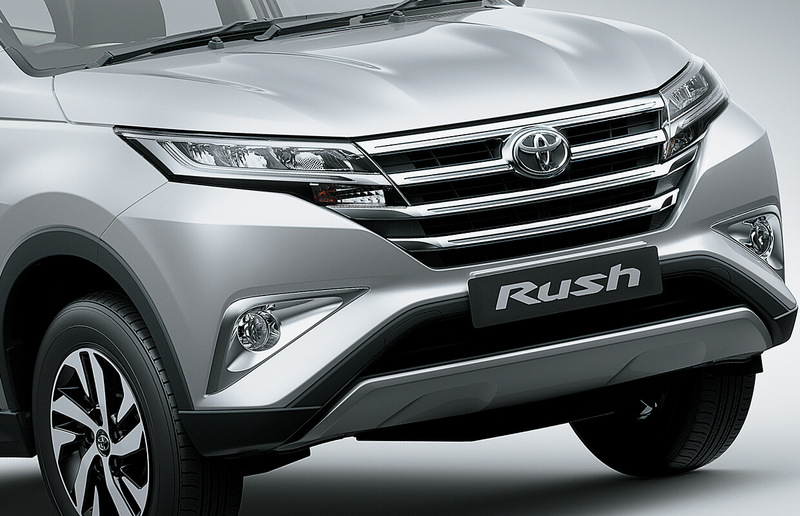 A vehicle that inspires. That feeling is a Rush. That vehicle is the Rush. A large twin-meter fitted with chrome-plated rings, three-dimensional scales and contrasting day/night illumination for a sporty look. 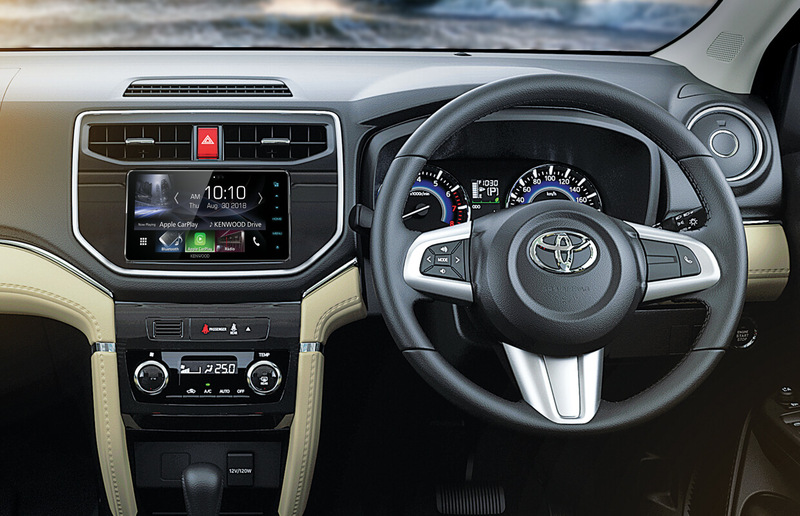 Built-in multimedia system, with 7-inch Capacitive Touch Screen, enables high resolution audio and video playback on multiple formats, with variety of inputs for an enriched multimedia experience. 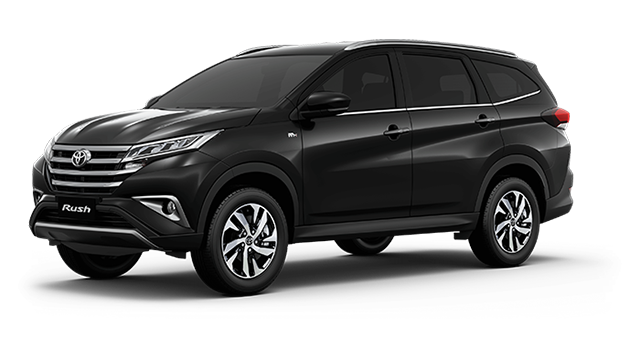 Expansive, stylish and comfortable, the new Toyota Rush is designed to accommodate more people and cargo with utmost ease and efficiency. 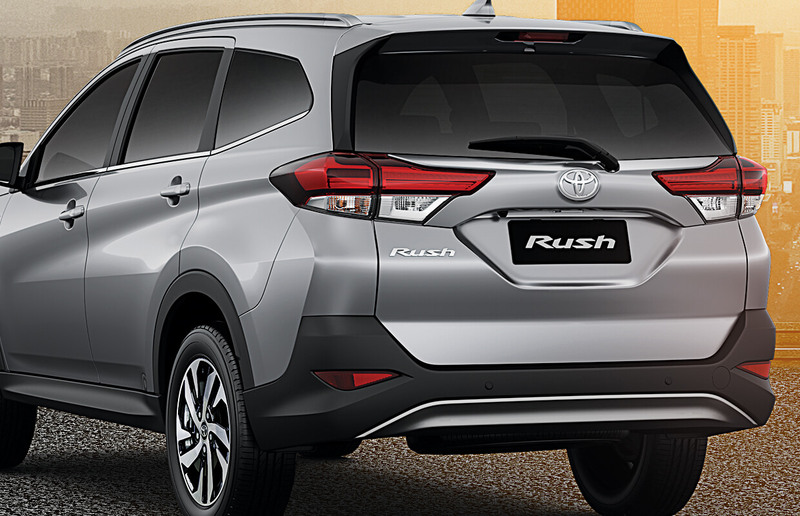 Defined by versatility, the new Toyota Rush exemplifies true beauty, luxury and style. 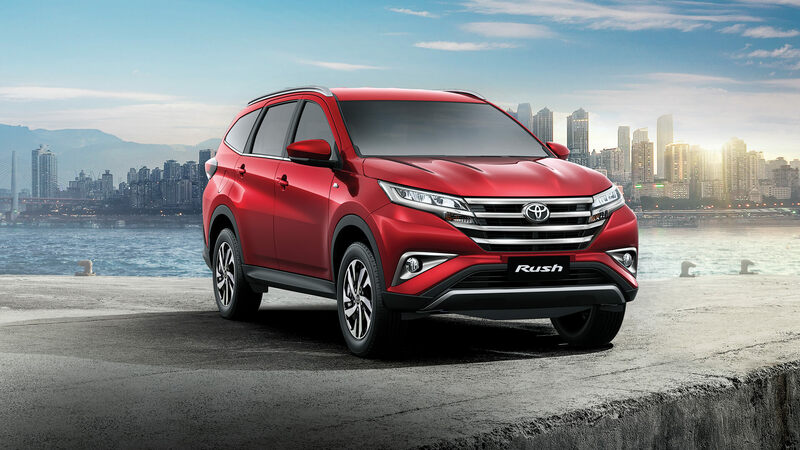 With the ability to adapt, the all new Toyota Rush is a perfect fit for an active & dynamic lifestyle. 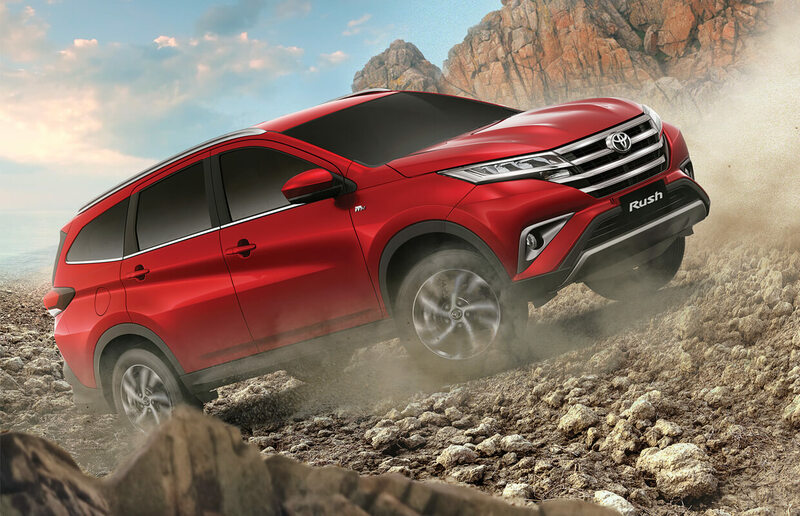 With an exceptional ground clearance of 220mm, the new Toyota Rush allows improved manoeuvrability on rough terrains and under diverse road conditions. Seamlessly designed front chrome grille adds to the smart exterior of the car, giving it a wide, sharp and advanced image. 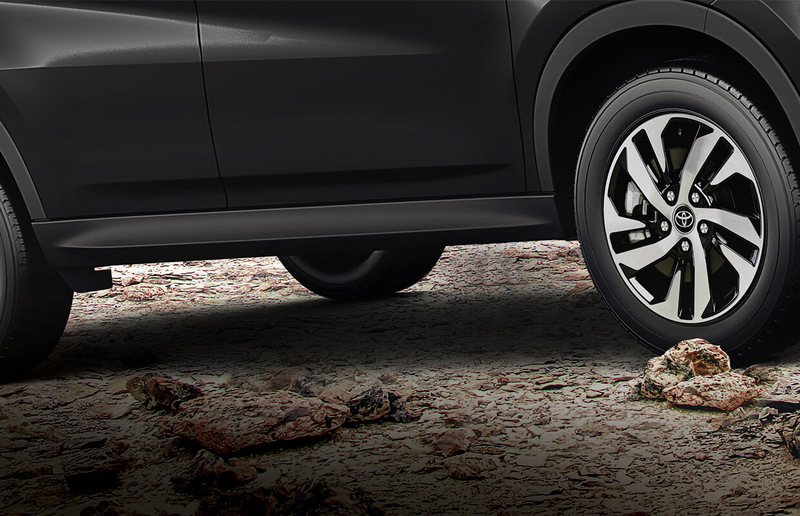 Sporting a unique combination of black painted and machined surface with turbine shaped rims to give the SUV a tough and dynamic look. 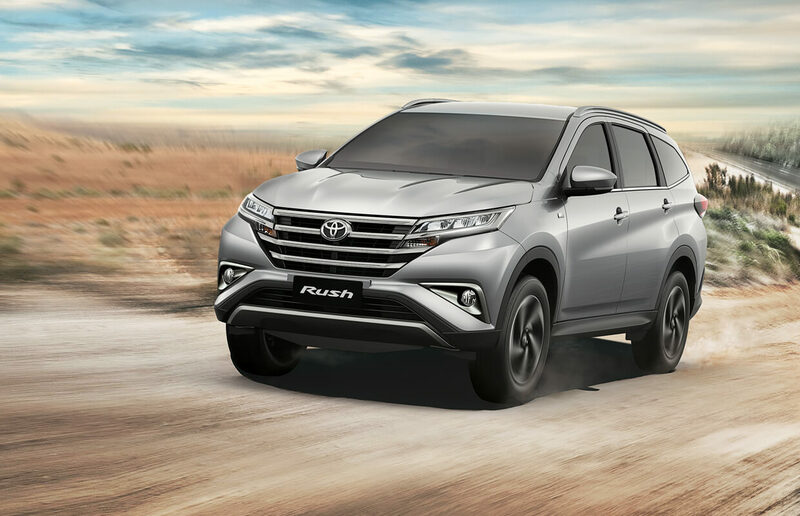 Equipped with the Daytime Running Lamp (DRL) technology, the perfectly designed LED headlamps add a stylish edge to the new Toyota Rush. The futuristic look of the vehicle is enhanced by the use of rear LED lamps, designed in a sleek horizontal style to enhance characteristic graphics. Newly adopted smart entry and wireless door locking systems enhance convenience and control. 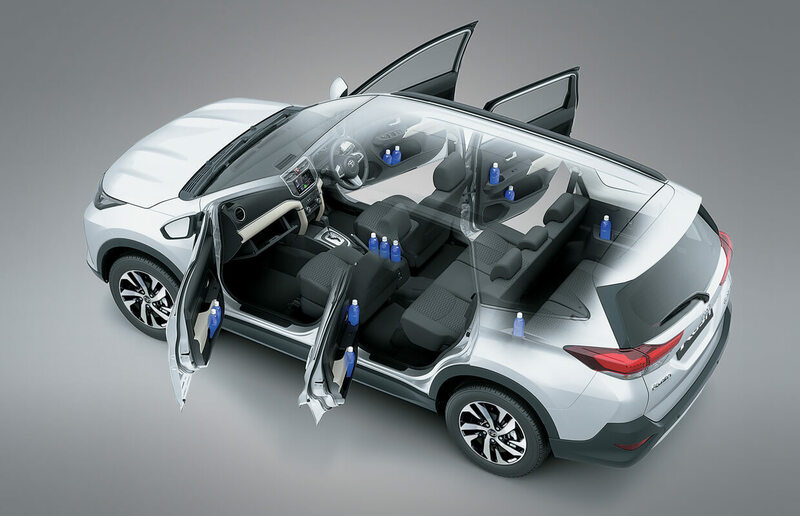 Equipped with a 6 SRS airbag system that ensures a high level of passenger safety. Front airbags, Curtain shield airbags and Front side airbags are installed to enhance occupants™ protection. The clearance sonar uses ultrasonic sensors to detect obstacles at the rear. A buzzer informs the driver of the distance between the vehicle and obstacle.